It’s that time again where students in Term 3 at VFS Digital Design get to work on the Animated Typeface project. 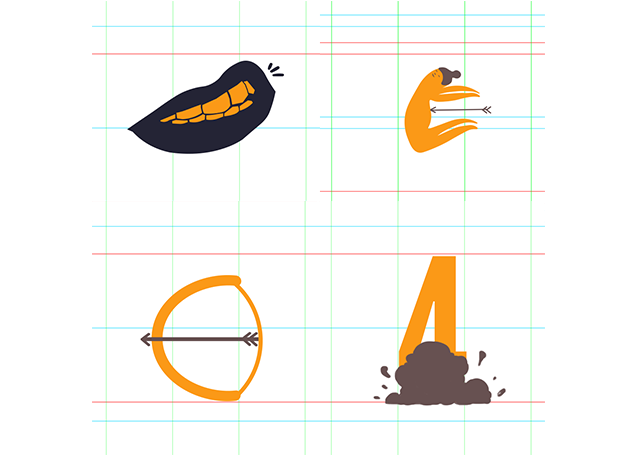 Recap: It is a collaborative class initiative where each student makes a second long animated sequence for 3 – 4 glyphs. This time League Spartan was used and this typeface was created by Tyler Finck, Micah Rich, and Caroline Hadilaksono. These sequences needed to be 25 frames long using three or fewer of the chosen colours. It has been amazing to see the incredible work. It’s that time again where students in Term 3 at VFS Digital Design get to work on the Animated Typeface project. Recap: It is a collaborative class initiative where each student makes a second long animated sequence for 3 – 4 glyphs. This time League Gothic was used and this typeface was created by Tyler Finck. It’s that time again where students in Term 3 at VFS Digital Design get to work on the Animated Typeface project. Recap: It is a collaborative class initiative where each student makes a second long animated sequence for 3 – 4 glyphs. This time League Gothic was used and this typeface was created by Tyler Finck, Micah Rich, and Dannci. It’s that time again where students in Term 3 at VFS Digital Design get to work on the Animated Typeface project. Recap: It is a collaborative class initiative where each student makes a second long animated sequence for 3 – 4 glyphs. This time Blackout Midnight was used and this typeface was created by Tyler Finck. These sequences needed to be 25 frames long using three or fewer of the chosen colours. It has been amazing to see the incredible work DD31’s turned in. This time we stepped up the game by entering into new territories with the project – Animated Typeface, a collaborative class project by students in Term 3 at VFS Digital Design. Each student made a second long animated sequence for 3 – 4 glyphs to complete the typeface – ChunkFive created by Meredith Mandel. These sequences needed to be 25 frames long using three or fewer of the chosen colors. It has been amazing to see the incredible work DD30’s turned out to be. We are most proud to showcase the awesome animated sequences DD30′s created. “One by one, I felt I was more connected to my fellow classmates in a much more personal way.